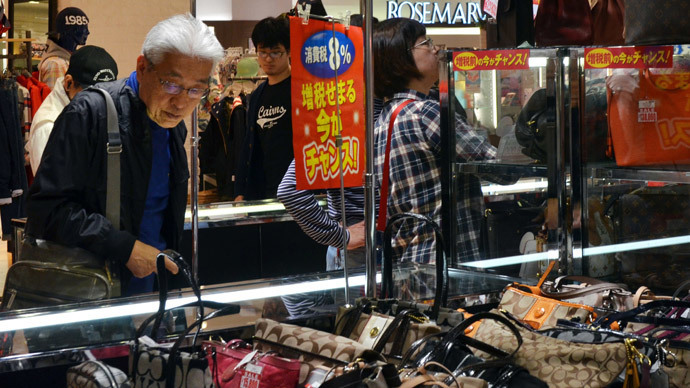 Japanese consumers stocked up on necessities or splurged on luxury goods before April 1, when sales tax increased for the first time since 1997 from 5 to 8 percent. Tax revenues will help combat deflation and tackle the country’s $10 trillion public debt. Buying a home, juice at a grocery store, and most other retails goods became 3 percent more expensive. Next year the rate will rise to 10 percent. "I have to ask citizens to accept this hike," Prime Minister Shinzo Abe told reporters Tuesday at his official residence and office in the center of Tokyo, adding, "it is for the sake of the country." Taxes collected from April 2014 to April 2015, Japan’s tax year, will increase government revenue by about $48.4 billion (5 trillion yen). 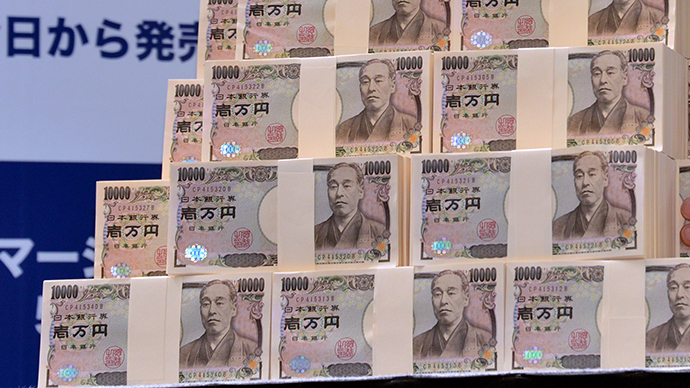 After rates are increased to 10 percent in 2015, an extra 8 trillion yen in revenue is anticipated. Extra revenue from 2014 is almost 1 percent of total GDP, and will help the world’s third largest economy contain its massive quadrillion yen debt. 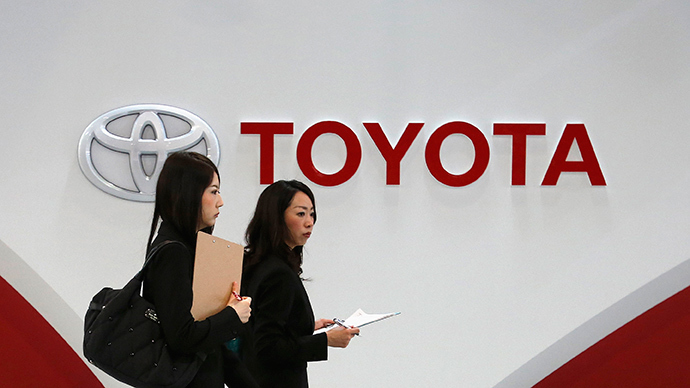 Japan already has one of the highest corporate tax rates in the developed world, at 38 percent. Increasing taxes is a basic foundation of Abe’s so-called "Abenomics" - an economic stimulus program aimed at steering Japan away from deflation and managing the country’s enormous debt burden, which is more than 230 percent of the country’s domestic product. According to the Japan Risk Forum (JRF), there are three likely outcomes of Abenomics- for it to succeed, Japan returns to stagflation, or deflation. 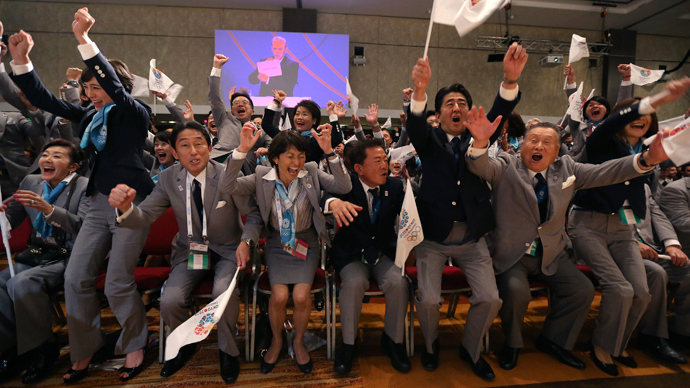 "We cannot overlook an opportunity of breaking away from deflation," Abe said. The goal is to raise inflation up to 2.0 percent in two years. Japan’s increasingly aging population also poses a threat to finances, as more and more people are out of the work force, as well as in need of state care. 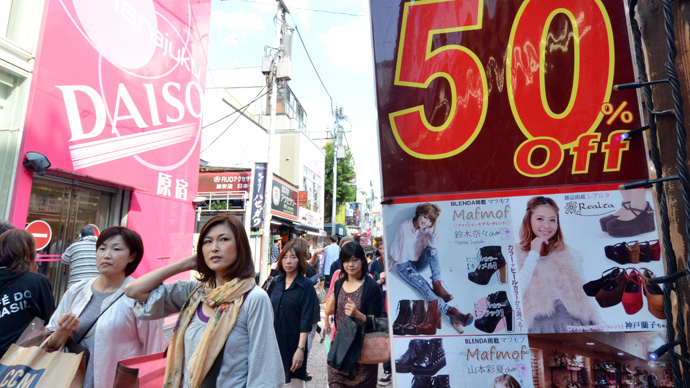 Many of Abe’s predecessors tried to raise sales taxes, which was unpopular with constituents. “The sales-tax hike is going to drag on the economy, and exports have been weaker than expected on the back of a slow global recovery,” Shinichiro Kobayashi, a senior analyst at Mitsubishi Research and Consulting told Bloomberg News. A slump in second quarter growth could be a consequence of the new tax hike, as customers spend less in April-June. 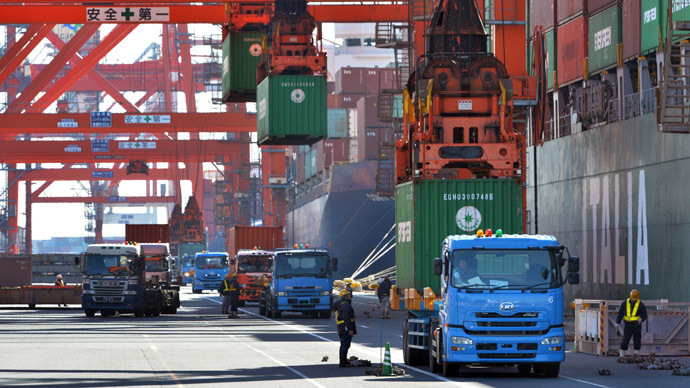 Overall growth for Japan in 2014 is forecast at 1.7 percent by the International Monetary Fund.